The meeting is intended to help inform DOE’s future program plans to support development of the domestic SMR industry and position them to succeed. It is being organized by the DOE Office of Nuclear Energy and DOE’s the Gateway for Accelerated Innovation in Nuclear (GAIN) which is operated for the agency by the Idaho National Laboratory. DOE has organized the workshop because as a matter of policy it supports the position that SMRs could play an important role in addressing the energy, economic, and environmental goals of the U.S.
DOE officials said in announcing the conference that the development of mature SMR technologies is integral to promoting the Administration’s “all of the above” energy strategy, contributing towards meeting national climate and clean energy goals, and facilitating U.S. industrial competitiveness. Workshop results will help inform DOE’s future program plans to support the development of a domestic SMR industry with the ultimate goal of positioning U.S. SMRs to succeed. Additional SMR capabilities beyond baseload electricity generation, including use of SMRs in hybrid energy systems, for process heat, desalinization, and in meeting national security needs. While the agenda is still being firmed up, the workshop will include participation from domestic vendors, utilities, nuclear supply chain entities, laboratories, universities, or other related professional organizations to provide input and ideas in support of the DOE SMR commercialization goals. The first day will address the question of what manufacturing techniques, capabilities, or process improvements could provide the most significant benefit(s) for improving SMR economics, and how to accomplish the transition from prototype fabrication capability to a robust SMR manufacturing enterprise. The second day of the workshop will address the question of what SMR capabilities should be developed further to improve the global marketability of SMRs. The use of SMRs as a component of hybrid energy systems, as examples. In November 2015, DOE launched the Gateway for Accelerated Innovation in Nuclear (GAIN) initiative to accelerate innovation of advanced nuclear technologies by providing potential industry partners with opportunities to access the technical, regulatory, and financial support necessary to move innovative nuclear energy technologies toward commercialization. GAIN is expected to provide a vehicle for support of public-private partnerships to achieve national goals established by the DOE Office of Nuclear Energy (NE). NE has been supporting the development of domestic small modular reactor (SMR) designs through the SMR Licensing Technical Support (LTS) program. It provides financial assistance for SMR design development and efforts leading to design certification, site permit, and license approvals from the U.S. Nuclear Regulatory Commission. 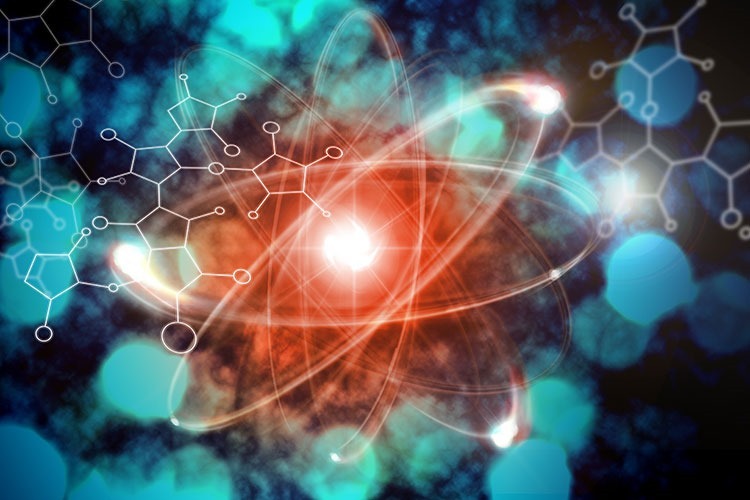 The Nuclear Regulatory Commission and Department of Energy are continuing their joint workshop series on innovative reactor technologies June 7-8 in Bethesda, Md. “These workshops bring all the interested parties to the table to discuss the opportunities and challenges for safely developing and deploying advanced non-light water reactors,” said Jennifer Uhle, director of the NRC’s Office of New Reactors. The workshop will continue the initiative begun during the September 2015, DOE-NRC workshop. It will explore options for increased efficiency, from both a technical and regulatory perspective, for safely developing and deploying advanced non-light water reactors. DOE and NRC staff will discuss advanced non-light water nuclear reactor concepts and licensing issues with participants. The workshop will include reactor design vendors, suppliers, electric utilities, academia, national labs, non-government organizations, and other federal agencies. The discussions will cover both near-and-longer-term opportunities to test and demonstrate new concepts, build non-light water reactors, and enhance appropriate licensing processes and guidance. The workshop will include presentations as well as structured and open discussions, using a facilitator. Advanced non-light water reactor fuel development, qualification, and challenges. The workshop agenda will include presentations, panel discussions, and structured and open discussions, using a facilitator. The workshop will be open to the public. Registration is free. Please use the link below to register for the workshop. Copies of presentations from the first NRC workshop on advanced reactors can be found at the agency;s website.